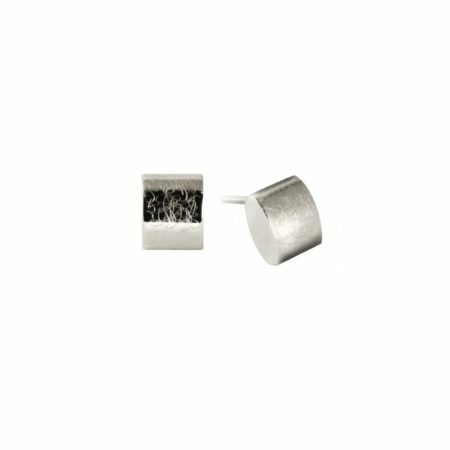 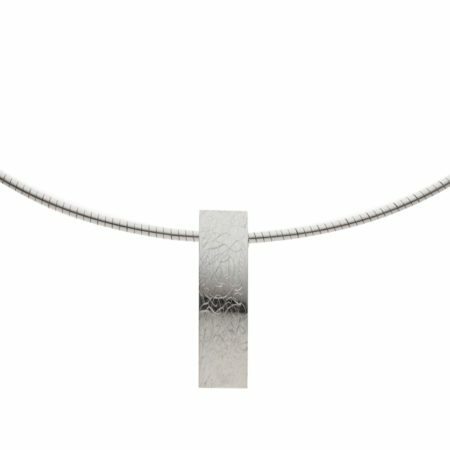 So simple and so lovely, this handcrafted silver pendant has an etched finish that plays with the light. 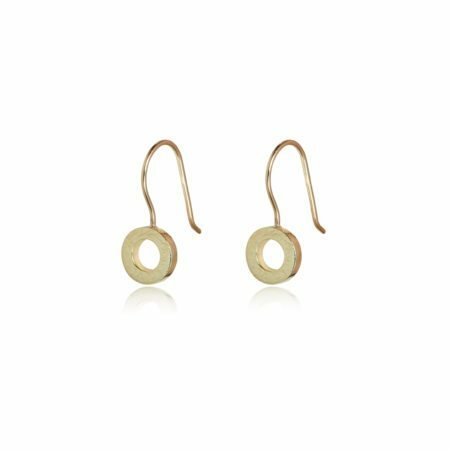 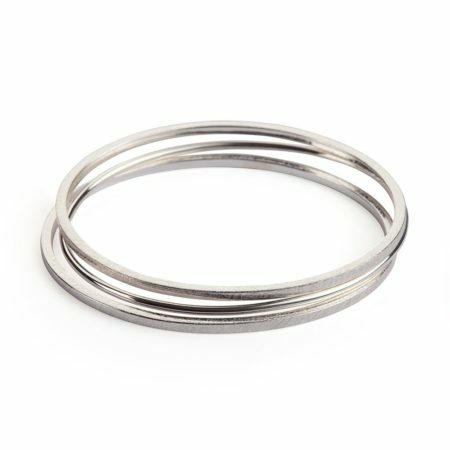 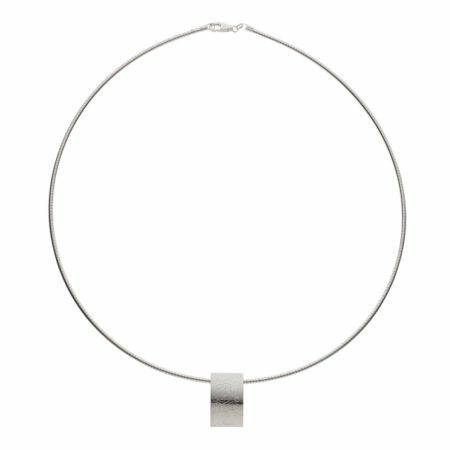 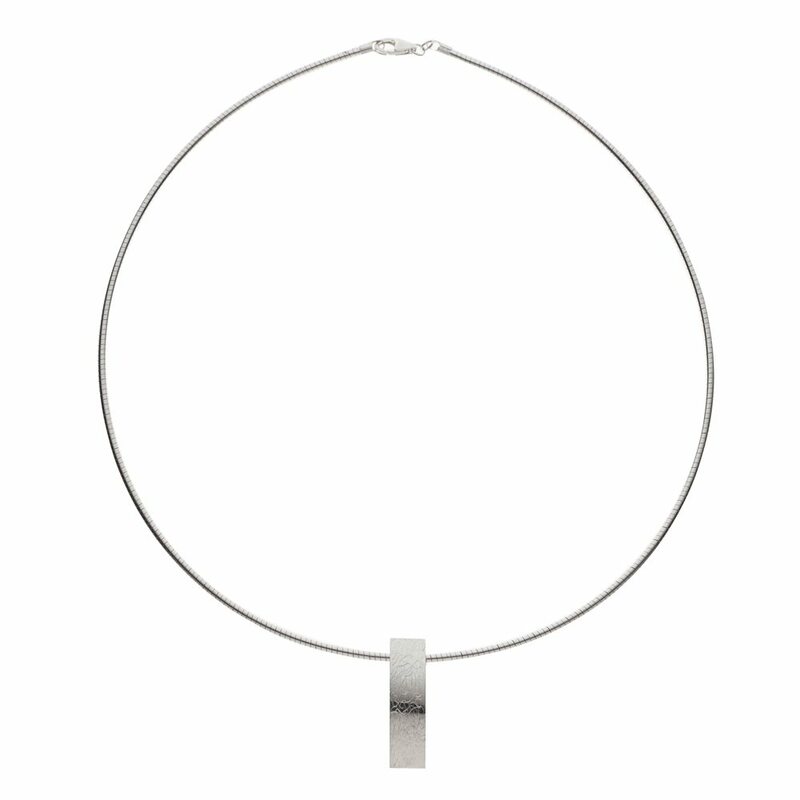 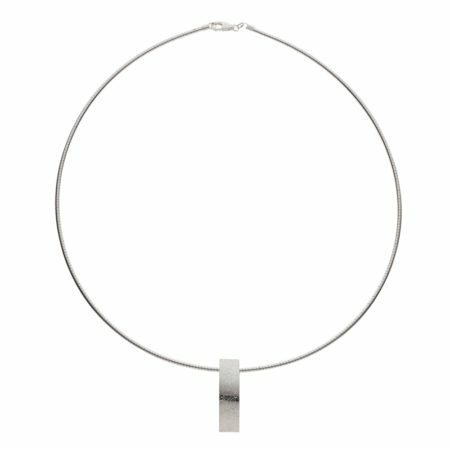 On a silver neckwire, it’s ideal for everyday wear, or for something special at the weekend! 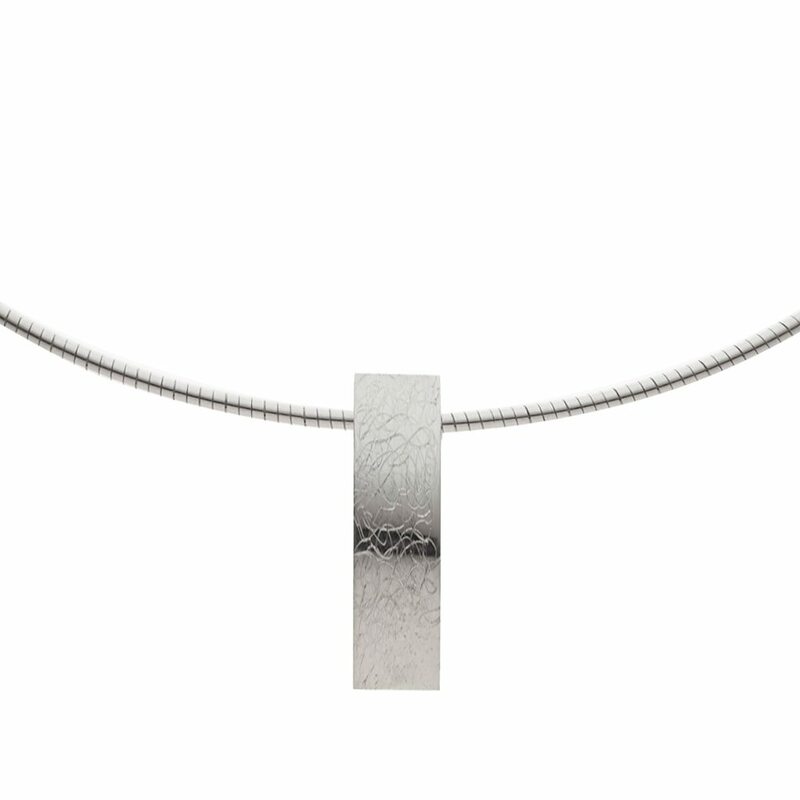 There’s also a smaller version, if this one is a touch too long!